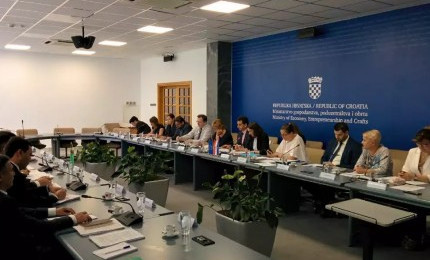 AKIPRESS.COM - The third meeting of the Turkmen-Croatian Intergovernmental Commission for Economic Cooperation was held in Zagreb June 11, Turkmen foreign ministry said. Heads and representatives of the leading ministries and industry departments, business circles of the two states were in attendance. Parties discussed the implementation of the agreements reached at the second meeting of the Commission on 4-5 February 2015 in Ashgabat. They reached an agreement on development of trade-economic relations, on holding Days of Culture of Croatia in Turkmenistan in the autumn this year. The meeting culminated with signing of the protocol.